On a Thursday morning in February of 2012, my little girls asked me if we were going snow tubing. I took the day off to spend time with them, but as usual I had some open items that I had to attend to and had to work that morning. As I went about my work, my little girl came to me and asked, “When are we going snow tubing?” I said, “Sorry, honey, I need to get something done today. We’ll go tomorrow.” We went and played with her sister. It was the last of the discussion about snow tubing for that day. The next morning it was raining. My wife and I talked about weather and decided that since it was cold and raining it would not be a good idea to go snow tubing. We told the girls of our decision and they were not happy about it, but went along. A few hours had passed and my little girl came to me and asked, “When are we really going?” At this point, I felt bad and told her definitely tomorrow, as I checked the weather forecast and it would be perfect to go snow tubing. On Saturday morning, she woke up and was really excited. After my other daughter’s basketball practice, we had lunch and they both got ready and off we went. Their smiles were ear-to-ear. We drove to the place and as they got out of the car they were so excited. When we got to the counter to buy the tickets, we were told it was sold out. Their smiles turned upside down. My little one declared, “We came here for nothing.” Not to disappoint, I inquired if I could purchase the ticket for the next day. I was told we could and we bought the tickets and headed back home. The trip home was rather quite because they were really disappointed. My little one recounted on the lost opportunity on Friday. I reassured them that since we bought the tickets, we were all set for Sunday morning. 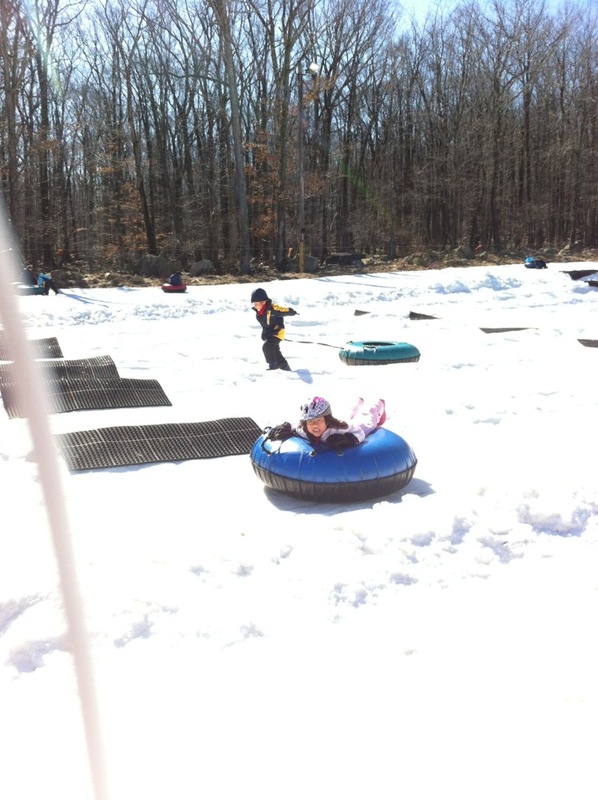 On Sunday, my little one was up really early because she was so excited to go snow tubing. Her enthusiasm to go snow tubing was apparent. I told her to go back to sleep and would awake her up with ample time to have breakfast. As she went back to sleep, I wished she embraced every opportunity with the same enthusiasm as going to snow tubing. Because the possibilities are endless if you’re excited and passionate about what you’re doing. As I reflected on the situation, I reminded myself that I should always start the day by appreciating what I have and embrace the day with the same enthusiasm and take advantage of the opportunity to do my very best. In the end, they had a great time snow tubing. They raced with each other and were smiling ear to ear as we drove home that afternoon. In my mind, it was mission accomplished and we took advantage of the opportunity to explain that sometimes things don’t go as planned, that they should not be disappointed. What’s important is that the promises are fulfilled and we embrace every opportunity with enthusiasm and appreciation for having such opportunity.